Whether you voted in or out, the recent referendum has created an uneasy summer and the topic of immigration is making many people feel hot around the collar. Pelican Director, Cheryl Bennett, an executive coach and HR expert with more than 20 years’ experience with a myriad of blue chip companies, looks at how immigration is affecting UK business and how to avoid discrimination in the workplace. 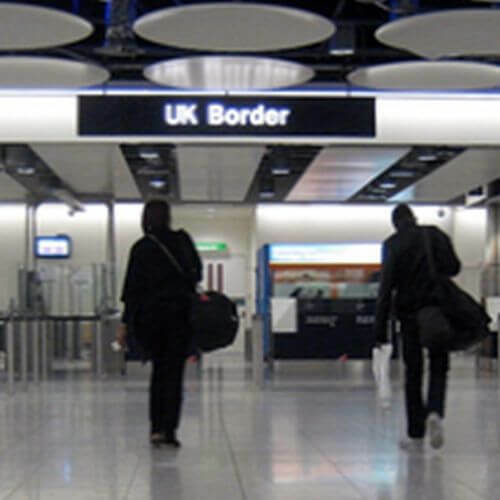 Is immigration really a problem for UK businesses? What type of businesses in the UK have high levels of migrant workers? Where do migrants come from and what challenges does that bring? And how do those businesses manage a multi-cultural workforce and avoid those costly discrimination cases? My personal experience tells me that many businesses in the both the UK food and waste sectors would struggle to find staff if it wasn’t for the high volume of migrant workers. Some on permanent contracts and others brought in on a regular basis on temporary contracts. Many workers in those sectors come from the countries mentioned above as well as Iran and Iraq. This can cause issues in the workplace around language, religious beliefs and customs as well as cultural differences. For example it’s Ramadan at the moment and many Muslims will not allow food or drink to pass their lips during daylight hours – not even a sip of water. How does that affect the managers’ breakfast or lunch meeting? According to the Governments statistics the highest award up to June 2015 on the grounds of race discrimination was £209,188 with an average award being £17,040. That doesn’t include of course the cost of solicitors, time spent out of the office, the unseen costs of stress in the workplace and potential loss of motivation and productivity that can arise. So how can an employer make sure that diversity is embraced in the workplace, create a culture of inclusivity and ensure that costly race or religious discrimination cases are avoided? Firstly make sure that you get it right from the offset: make sure your recruitment process is fair and robust. That means making sure your job adverts comply with equality guidelines and your selection process is based on a useful set of criteria, it complies with the law and is fit for purpose. Make sure that you have rules in place that mean all staff are treated fairly. Create an Equality Policy and make sure that it is followed. That means ensuring pay, promotion and general treatment is equal for all. Secondly remember that it is an employer’s responsibility to ensure that they make ‘reasonable adjustments’ in the workplace to avoid discriminating against any of what is known in law as the ‘Protected Characteristics’: the main two affecting migrants being ‘race’ and ‘religion and belief’. This might mean ensuring more visual instructions to overcome language barriers, or creating a private prayer place, and planning for religious festivals in case staff need to request time off. Finally, ensure that you communicate with staff. Ensure they are aware that discrimination of any kind will not be tolerated. This can be done through a variety of ways such as: a staff handbook which is explained to new staff at induction; or by providing training on diversity and inclusion to ensure managers understand not only why discrimination is not acceptable, but also how to handle issues and ‘head them off at the pass’ before they escalate. Educate staff on how to diffuse negative situations and ensure inclusion in the workplace. For HR help and advice on equality policy creation, managing diversity and avoiding discrimination in the workplace and much more, contact Cheryl on 01457 820807.